Lacrosse is fun because players, coaches, and parents make it fun. As a player, I help my team when I do my best to be a good teammate. 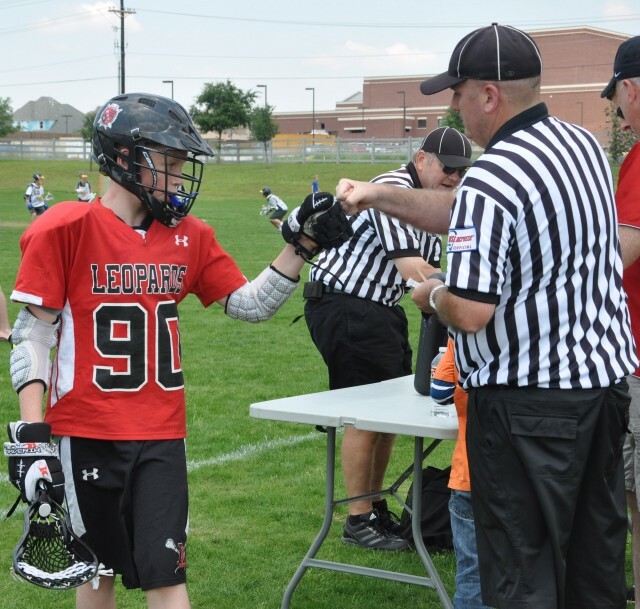 I understand that it is a privilege and an honor to be a member of the Lovejoy Leopards Lacrosse team and that being a member of the team is a position of responsibility and accountability. 1. I am expected to conduct myself in a manner that honors the game of lacrosse and to demonstrate and show respect for all my teammates, coaches, opponents, referees, spectators, and my parents. 2. I will display good sportsmanship at all times. I will be modest when I win, and I will be gracious when I lose. I will not “trash talk”, use offensive language or actions, or taunt another teammate, opponent, official, coach, spectator, or parent. 3. I will be a positive role model for the players, coaches, and the Lovejoy Leopards Lacrosse program in attitude, appearance, and behavior. 4. I will not perform, permit, encourage, or condone any actions or conduct that are dangerous or demeaning to another player, teammate, coach, official, or spectator. I understand that such behavior is unacceptable. 5. I will refrain from disrespectful or harassing acts of texting and/or calling, including Facebook postings, Twitter updates, or other social networking sites either under my name or an alias name under my use to any person or a team member. 6. I will refrain from bullying and harassing or any other form of physical violence or any act of physical aggression or property damage of any person or a team member. 7. 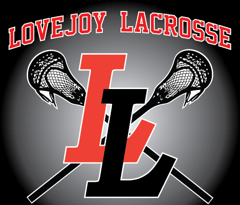 I will not use profanity or use offensive or inappropriate language during practices, games, or any other Lovejoy Leopards Lacrosse sanctioned team or program event or meeting. 8. I will give 100% effort at all times. I will pay attention when my coach is speaking, and I will follow, trust, and commit to the directions of the coaches and the Lovejoy Leopards Lacrosse Board of Directors. 9. I will be responsible to bring and wear all of the necessary and required equipment for lacrosse to practices and games. 10. I will attend every game and practice unless I inform my coach in advance of my absence. 11. I will cheer for my teammates. 12. I will report any and all injuries to a member of the program’s coaching staff or Board Members. 13. I will not throw helmets, sticks or any equipment in frustration. My language and behavior will be positive at all times. 14. I understand that I am encouraged to ask my coach questions to develop my understanding of lacrosse. 15. I will never complain to, or argue with, an official. I understand that my role is to play the game. My coach is responsible to talk to the officials. 16. I will work hard to become a better player. I will practice on my own time to continue to develop my game and focus on the fundamentals of lacrosse (passing, catching, shooting, and scooping). 17. I understand that I am responsible for my behavior, and that my behavior is a reflection on me, my teammates, my coaches, my parents and the Lovejoy Leopards Lacrosse program. My behavior has consequences. 18. I will treat all Lovejoy Lacrosse, Lovejoy school district, and the opposing team’s facilities, fields, property, and equipment with respect. I understand that the Lovejoy Leopards Lacrosse program will not tolerate any actions of vandalism or actions that result in damage to property. 19. I will abstain from using or possessing illegal drugs, drug paraphernalia, alcoholic beverages, and tobacco. If a player violates any provision of the Players’ Adherences in these Code of Conduct and/or receives an “Unsportsmanlike” penalty during a game, then such action and conduct will result in consequences for such violations as determined by the Head Coach of the player’s team. If a player gets an “Unsportsmanlike” penalty during a game, that player will be pulled from the game and sit out for at least the remainder of the half for that game in which the infraction took place. The Head Coach has the discretion to have the player sit out the remainder of the game. Following the game in which the Unsportsmanlike penalty was received or after a violation of the players’ adherences is discovered, that player will have the opportunity to discuss the facts involved in the violation and his conduct and actions with his Head Coach before a decision is made regarding any additional disciplinary action is imposed. • Suspension from the current or nearest competitive season or activity for a period of up to three (3) games. • A player may self-report to his coach and receive a lesser suspension, if agreed by the Head Coach. • Suspension from the current or nearest competitive season or activity for a period of up to six (6) games. • Self-reporting by a player does not apply after first offense. • Suspension from the team for a period of up to one calendar year. After the suspension, the Board of Directors will determine reinstatement. Reinstatement will be based on behavior record and any other available information deemed appropriate for review. • Any additional offense that occurs after reinstatement will be treated as a third offense. A coach may impose their own penalties above and beyond this.